a These data are as published in 2006.
b The inclinations of the rotation axes of the satellites and the rotation periods are not given, but in most cases the inclinations are small. Many of the satellites, like the Moon, are in synchronous rotation around their planet. c Very small satellites of the giant planets are not included. The excluded satellites are: Jupiter and Saturn, all are < 5km mean radius; Uranus, all those beyond Oberon smaller than Caliban; Neptune, all those beyond Nereid smaller than 2002 N1. d Note that in most cases the orbital inclination is with respect to the equatorial plane of the planet. The exceptions are the Moon and the outer satellites of the giant planets: Jupiter, beyond Callisto; Saturn, beyond Iapetus; Uranus, beyond Oberon; Neptune, beyond Triton. In these cases the inclination is with respect to the orbital plane of the planet. This is because the inclination with respect to the equatorial plane changes periodically through a fairly large range of values. 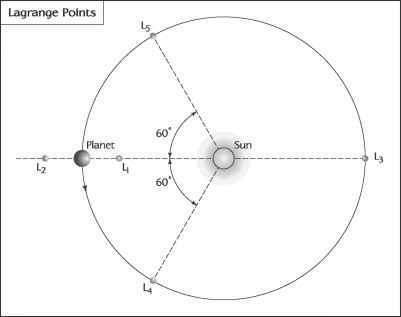 Inclinations greater than 90° indicate retrograde orbital motion, i.e. opposite to the direction of rotation of the planet. e Values less than a few hundred km are average radii of irregularly shaped bodies. For many of these satellites the size is based on an assumed albedo of 0.04.